WMPG will again be hosting our renowned Fat Tuesday party. This will be the 24th year that we celebrate Mardi Gras with our volunteers, listeners, USM and the greater Portland Community. It all happens on March 5, 2019 from noon to 3pm at the USM Woodbury Campus Center in Portland. 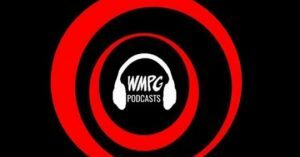 WMPG will be broadcasting New Orleans music live from the event. There will be plenty of WMPG on-air personalities to spin tunes, and there may be some surprise musical guest showing up to perform live Acadian music in the amphitheater. Food will be served from noon to 3 pm as local restaurants prepare their best Cajun and Creole dishes and compete for bragging rights for 2019! 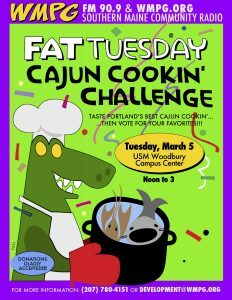 WMPG listeners and supporters (including the USM student body and USM staff and faculty) are invited to attend, sample area chefs’ New Orleans style cooking, and vote for their favorite. There is no admission fee, but a suggested donation of $3-$5 will be appreciated to help WMPG cover the cost of hosting this annual event. Last year’s party drew more than five hundred revelers! Lenny’s Pub, of Westbrook, won the WMPG 2018 Fat Tuesday Cajun Cookin’ Challenge! Chef Kori Reece surprised and delighted the attendees with her Cajun Bread Pudding, a savory take on a traditionally sweet recipe. Tied for second place in the voting, was Jonny St. Laurent from Uncle Billy’s BBQ, and Izzy from Izzy’s Cheesecake. 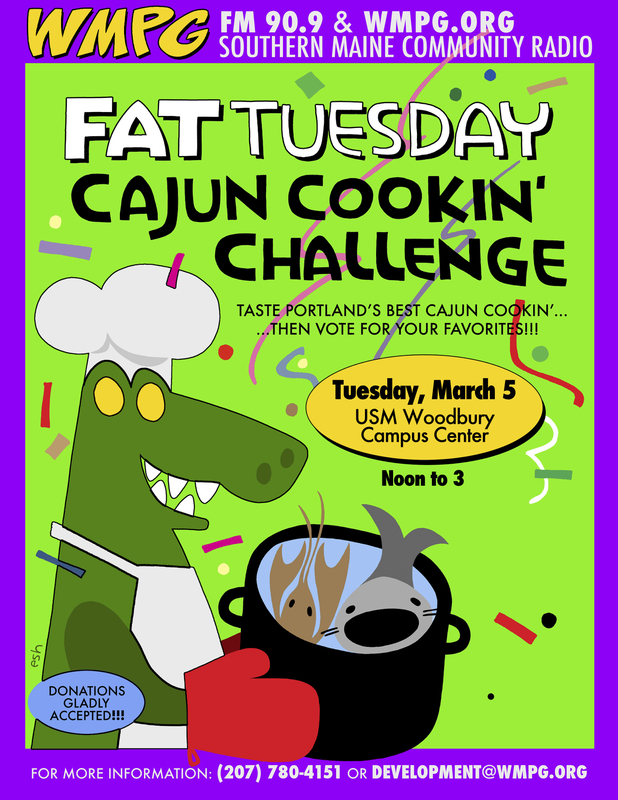 In addition to the winners above, the 23rd annual Fat Tuesday event, hosted by USM’s Community Radio station, WMPG, included entries from: Bayside American Cafe (2015 champs), Whole Foods, Abilene Portland, Po Boys & Pickles, and Sodexo USM Dining.